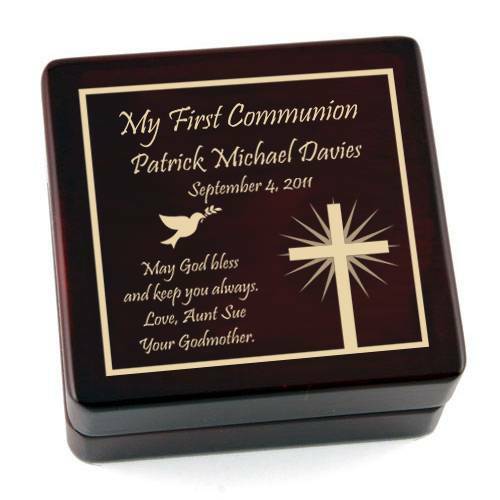 Our sleek engraved wooden rosary box is perfect for First Communion. 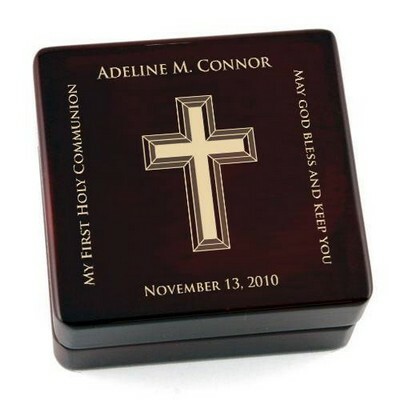 This 3 3/8" x 3 1/2" x 1 1/2" rosary box features a shining cross, and a dove. 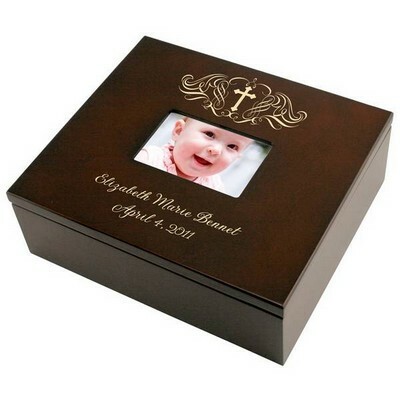 This box can be personalized with a name, date, and a short message. 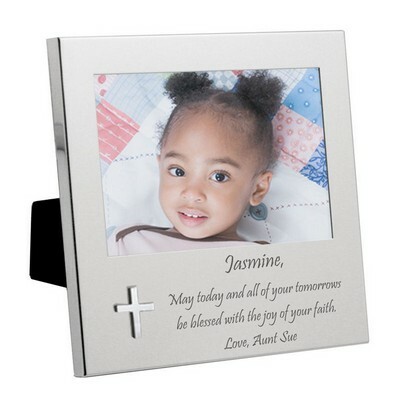 This keepsake gift is sure to leave a lasting impression on your recipient! Comments: Lovely gift I'm very happy I ordered it And it was beautifully done. 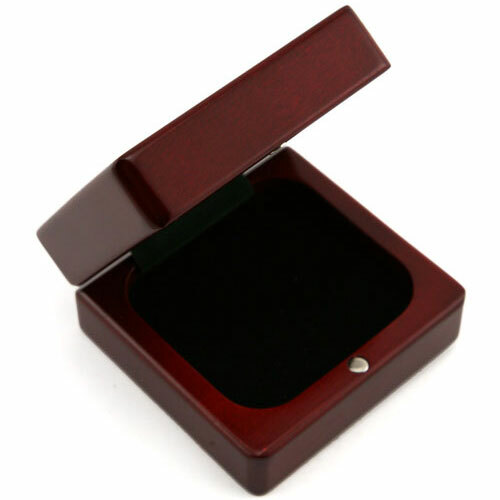 I am using it as a little jewelry box for a necklace. 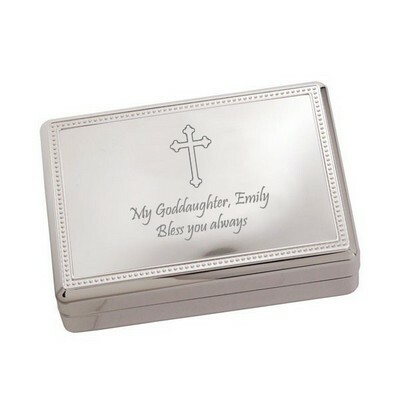 Comments: I was very much pleased with this keepsake box, the quality is excellent! 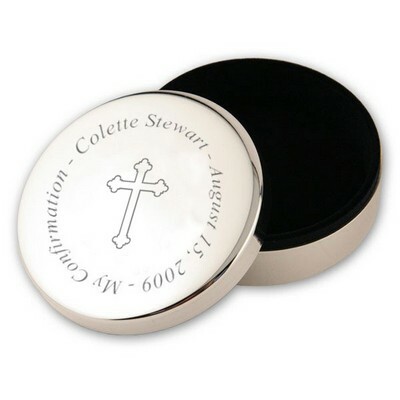 The free engraving is beautiful. Delivery was fast. 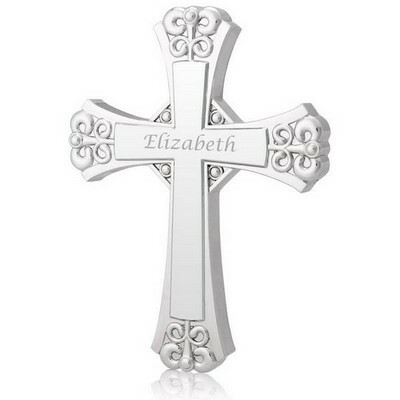 I will buy a second one for my second grandson in two years if it is still available. My grandson was thrilled with it! 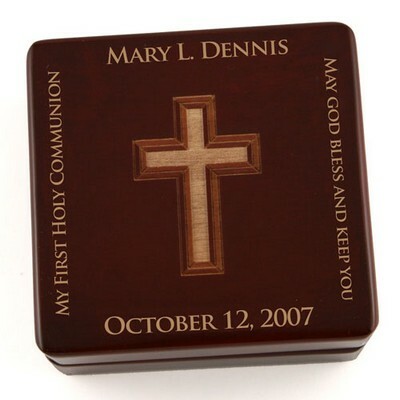 "First Communion Personalized Rosary Box"
Comments: I ordered this Rosary box for my daughter's First Communion. I was so pleased when it arrived. 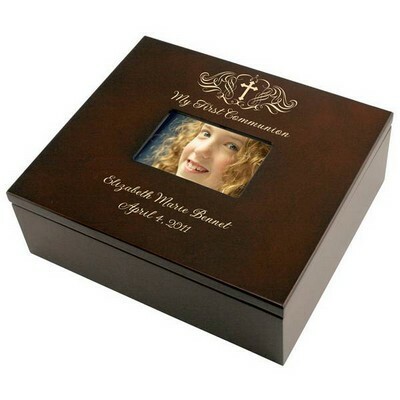 The box is gorgeous and the personalization makes the gift extra special. As for shipping, I was shocked as to how fast I received it. I placed the order a little late and wasn't sure if I'd receive it on time but I did. Thankfully, I put the date of the event! !